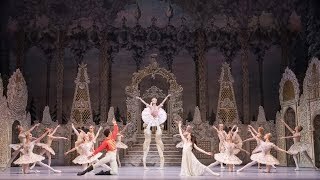 Darcey Bussell, Anna Rose O'Sullivan and Marcelino Sambé visit students of The Royal Ballet School to discuss their experience of performing The Nutcracker. Find out more here www.roh.org.uk/productions/the-nutcracker-by-peter-wrightnnPeter Wright's interpretation of The Nutcracker has been enchanting children and adults alike since its first performance by The Royal Ballet in 1984. Lev Ivanov's 1892 ballet combined with Tchaikovsky's sumptuous, iconic score are presented in a festive period setting with vivid designs to make this a charming and magical production. Loosely based on the story by E.T.A. 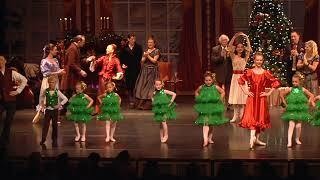 Hoffmann, the ballet begins in the 19th-century German home of the Stahlbaums, where they are hosting a lively Christmas party. The period setting is captured in opulent detail by Julia Trevelyan Oman's designs, which include authentic Christmas tree decorations that are magically brought to life. Wright's choreography ingeniously incorporates surviving fragments of the ballet's original material, including the sublime pas de deux for the Sugar Plum Fairy and her Prince. 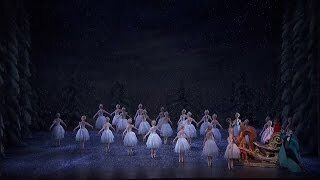 But in emphasizing the relationship between Clara and the Nutcracker, the production also gains a touching subtext of first love.